Today's special guest is A.R. Silverberry, author of Wyndano's Cloak and The Stream. Welcome to Authors to Watch, A.R.! Can you tell us a little about yourself and when you began writing? I’m a psychologist by day, working with children, adolescents, and adults. It’s wonderful work, helping people unleash their potential, but I’ve always needed a creative outlet. For a while, it was music, playing classical and jazz, and composing. I dabbled with writing through out high school and college, but didn’t get serious until 1998, when the writing bug bit me for real. Tell us about The Stream and how you got the idea for the book. Ideas come from such varied places. Sometimes it’s an image that pops into your head. Sometimes it’s a character or a situation that strikes you. It may start with a “what if” question. In the case of The Stream, it arose from a conversation I was having with my wife where I used the metaphor of a stream. I kept thinking about that metaphor the rest of the day, and pretty soon the image a five-year-old boy popped into my mind. The next day, I wrote out the basic idea for the story, including the theme, and started outlining it. I was working on another novel at the time, but dropped it. The Stream had me hooked! I noticed you’ve changed the cover for Wyndano’s Cloak since the last time we spoke. Tell us about this new cover and whether or not it’s had an impact on your book sales. The original cover was designed to work in bookstores. We worked hard with an award-winning dust-jacket printer to get the colors right, and in live book signings, the book has a huge impact, grabbing attention from 25-feet away. Back in 2010, when it was published, I wasn’t thinking about online sales or ebooks. That first cover didn’t translate well to the thumbnails on Amazon and other sites. With the blessing of my wife, who illustrated the first cover, we redesigned it. I studied thumbnails carefully, trying to determine what worked and what didn’t. One thing was clear: the title needed to be one third to half the size of the cover, or it would get lost when reduced. Also, to appeal to readers who have the means to buy online—what ten year olds have a credit card?—the cover needed a photograph, not an illustration. I searched for a photo that would communicate the book’s a fantasy novel; that there is a tough, teen heroine; and that the novel is dark and suspenseful. The sword immediately communicates fantasy fiction. The girl’s expression communicates the heroine’s character: she’s ready to fight. The black background communicates dark and suspenseful. The silver lettering suggests mystery. Unlike the original cover, notice there is no cloak. It’s not necessary; it’s in the title! As far as sales, I’m certain this cover will do it. The hindrance is still how to market it effectively. Let's talk more about your latest release, The Stream. Can you introduce us to this exciting new book? Of all your characters, which one is your favorite? Why? Pet, from Wyndano’s Cloak. She’s an edgy countess with entrepreneurial talents in Wyndano’s Cloak. Of all my characters, she stepped onto stage fully blown, with a voice so clear, it was effortless to write her dialogue or determine how she would respond in situations. She has the farthest to grow in the story, and packed a lot of emotion. Dory, the boat builder from the The Stream, is another example of a character who required little work. I originally conceptualized him differently, but this other voice came out when I wrote. I realized pretty quickly I had to get out of the way and let him do his thing. Completed unexpected was the truculent rooster who came with him. Why did you choose to write YA fantasy? Have you written books in any other genres? The Stream is for adults, although older teen readers would enjoy it. Wyndano’s Cloak is really middle grade, starting around age 9 or 10, but with crossover appeal to teens and adults. I’ve written several unpublished storybooks. Believe it or not, a 500-word story for young children is the hardest thing to write! Every word is worth its weight in gold. To write about something I believe strongly in through a moving story that captures readers, heart and soul. I cheated, that’s three things! 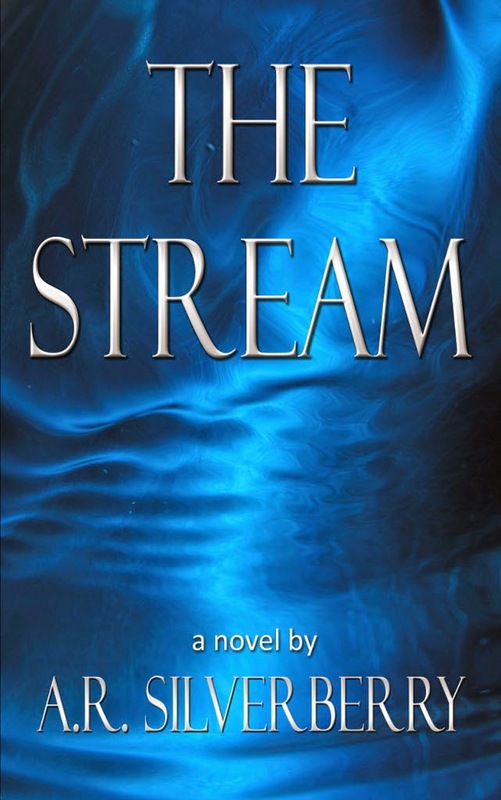 In The Stream, my goal wasn’t just to write an interesting story. I really had something to say, something I feel passionately about. It’s like Ray Bradbury said, list ten things you love, and ten things you hate. Then write about the former, and “kill” the later with words. What advice would you offer to new or aspiring authors? Be wary of advice, except mine of course! And here it is: read a lot; write a lot; learn the craft, but don’t be a slave to it; and break the “rules” if it helps the story. Don’t try to write like anyone else. There is only one you. Let the beautiful voice inside you sing. That is excellent advice, A.R.! A. R. Silverberry writes fiction for adults and children. His novel, WYNDANO’S CLOAK, won multiple awards, including the Benjamin Franklin Award gold medal for Juvenile/Young Adult Fiction. He lives in California, where the majestic coastline, trees, and mountains inspire his writing. Thanks for the fabulous interview, Tricia! Your blog rocks!